'Bris-aranda' is a word I created that means Brisbane during Jacaranda season. Spring in Brisbane is a spectacular time of year thanks the Mother Nature's stunning Jacaranda trees. 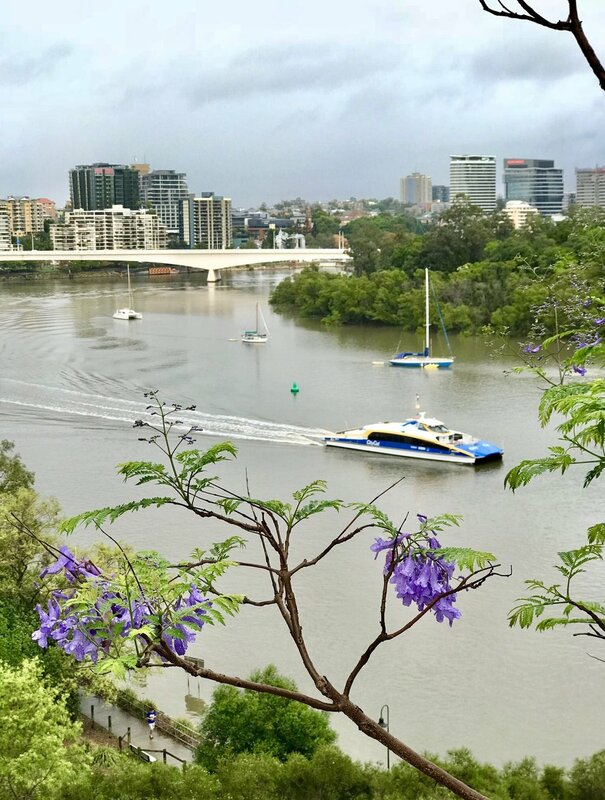 Purple blooms from these beautiful trees are sprinkled across Brisbane (and surrounding regions) parks, gardens, footpaths and roads. Enjoy my collection of Jacaranda photos that I have collated for your enjoyment, let me know via a comment below what you think. University of Queensland, St Lucia, Brisbane.